The company’s capital is divided into small shares of definite price; wherein each share is regarded as a unit of ownership, that is offered to the general public for sale, to raise funds from the market. It can be ordinary shares or preferred ones. The Companies Act provides that the subscribed capital of the companies can be increased, by issuing further shares to the existing shareholders at discounted prices, in the form of right shares. Contrary to this, when a company possess the huge amount of distributable profits, it transforms such profits into capital and divides it among the shareholders, in the proportion of their holdings, for which the members are not required to pay anything for such shares, called as bonus shares. 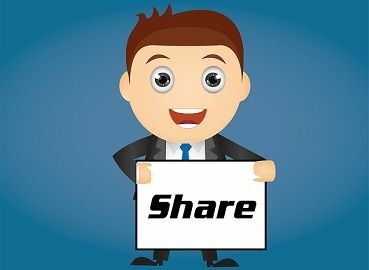 This article excerpt will give you a deep understanding of the difference between right shares and bonus shares, so take a read. Meaning Right shares are the one available to the existing shareholders equivalent to their holdings, that can be bought at a fixed price, for a definite period of time. Bonus shares refers to the shares issued by the company free of cost to the existing shareholders in the proportion of their holdings, out of accumulated profits and reserves. Objective To raise fresh capital for the firm. To bring the market price per share, within a more popular range. Paid up value Either fully or partly paid up. Always fully paid up. Right shares are the shares which are issued by the company, with the aim of increasing the subscribed share capital of the company, by further issue. The right shares are primarily issued to the current equity shareholders through a letter of an issue, on pro rata basis. The company sends a notice to each shareholder, that gives a choice of buying the shares offered to him/her at discounted prices by the company. The shareholder is required to inform the company about the number of shares opted by him/her, within stipulated period. The shareholders can forfeit this right, partially or completely, to enable the company issue shares to the general public or selected investors on preferential basis, through the special resolution. Bonus Shares denotes free share of stock issued to the existing shareholders of the company, depending on the number of shares held by the shareholder. The bonus issue only raises the total number of shares issued, but it does not make any change in the entity’s net worth. Nevertheless, the total number of shares issued by the companies as bonus issue increases, but the ratio of shares owned by the shareholder remains same. However, bonus shares cannot be issued by capitalising reserves created out of revaluation of assets. Bonus shares connote the shares that are given to current shareholders, out of free reserves created from genuine profits or securities premium collected in cash. On the other extreme, right shares are the shares offered to the existing shareholders by the company, to raise additional capital from the market, which can be applied for, within stipulated period. While right shares are offered to the shareholders at a price less than the existing market price. Conversely, bonus shares are issued to the shareholders free of cost. The basic objective of the right issue is to bring additional capital to the firm. As against, bonus issue aims at increasing active trading by increasing the number of outstanding shares. The facility of renunciation of rights is available for the right shares, in which the shareholders can renounce their rights. However, no such option is available in case of bonus shares. Bonus shares are always fully paid up, whereas right shares are either partly paid up or fully paid up, depending upon the proportion of paid up the value of equity shares when further issue takes place. Minimum subscription is mandatory for right issue, while no such subscription is required for bonus issue. The company whose shares are quoted on a recognised stock exchange issues shares to the existing equity-holders as right or bonus issue must list such shares in the respective stock exchange. Right shares encompass selling shares in the primary market, by issuing the rights to the current shareholders. On the other hand, the issue of bonus shares is like payment of the dividend by the company in the form of shares.